An indisputable fact about guitar pedals is this: without them we wouldn’t have half the songs we know and love. Take classics such as The Stones’ “(I Can’t Get No) Satisfaction”, or Hendrix’s “Voodoo Child (Slight Return)”, or virtually any Brian May solo – the sound, along with the guitar and amp, is a direct result of the guitar pedals they used. 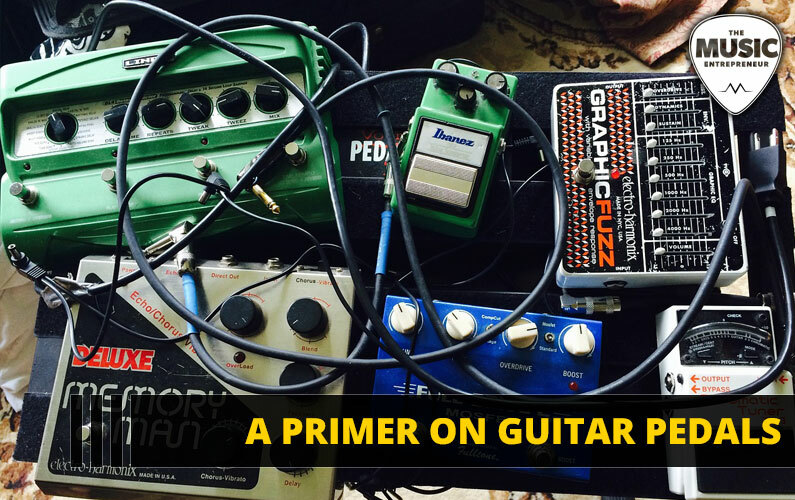 But here’s the surprising thing: a lot of people don’t know what guitar pedals do, which pedals give you which sounds, and most importantly how to connect them all in sequence. The people at Zing Instruments have taken it upon themselves to lift the lid of this murky world of guitar effects pedals and shed some light on the subject. Check out the infographic below, which explains what some of the most popular pedals do and how to connect them. Enjoy!